WATCH Is Pvt. Bradley Manning Behind Leak? The Army late Wednesday filed 22 new charges against PFC Bradley Manning, suspected of passing classified information to the WikiLeaks website. The charges include "aiding the enemy," which is a capital offense, but Army prosecutors told Mannning's lawyers that they would not be seeking the death penalty in this case. The new charges come after a seven-month investigation into whether Manning was the person who leaked the hundreds of thousands of classified military and State Department cables that were made public by WikiLeaks. Since last July WikiLeaks has published incident reports from the wars in Iraq and Afghanistan, as well as diplomatic cables that created an international firestorm. Though not mentioning WikiLeaks by name the new charge sheets indicate Manning is now being charged with having illegally downloaded the hundreds of thousands of cables and military incident reports that were provided to "an unauthorized source" and ultimately made public by WikiLeaks. The charge sheets say Manning illegally obtained and transferred 380,000 records from a U.S. military database of military incident reports in Iraq, as well as another 90,000 records from a similar database for Afghanistan. He is also charged with obtaining a video of a 2009 U.S. bombing incident in western Afghanistan that resulted in many Afghan civilian deaths, another item that WikiLeaks has promised to reveal publicly. 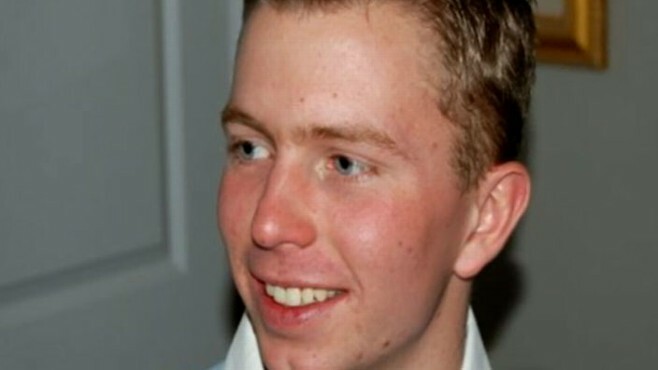 According to an Army press release, Manning is being charged with introducing "unauthorized software onto government computers to extract classified information, unlawfully downloaded it, improperly stored it, and transmitted the classified data for public release and use by the enemy. For example, the new charges update to 250,000 the number of classified State Department cables Manning is accused of having stolen. There is also updated information on the video of a 2007 incident in which an Apache helicopter gunship flying over Baghdad fired on a group of suspected insurgents that included some civilian photojournalists. The most serious of the new charges listed today is "aiding the enemy," an offense punishable by the death penalty. However, the Army said Manning's attorneys were informed today that prosecutors will ask for a sentence of life in a military prison. It is ultimately up to the presiding judge in a court martial, though, to determine if he will accept the prosecution's recommendation or overrule it and impose the death penalty. "The new charges more accurately reflect the broad scope of the crimes that Pvt. 1st Class Manning is accused of committing," said Capt. John Haberland, a legal spokesperson for the Military District of Washington. "The new charges will not affect Pvt. 1st Class Manning's right to a speedy trial or his pre-trial confinement," he added. In a blog posting, Manning's attorney David Coombs said, "Over the past few weeks, the defense has been preparing for the possibility of additional charges in this case. The decision to prefer charges is an individual one by PFC Manning's commander." Coombs adds that it will be up to the presiding officer in an Article 32 hearing to determine which charges should be referred to court martial. Manning has yet to go through an Article 32 hearing, which is the military equivalent of a grand jury proceeding. That has been delayed pending the results of a review as to whether Manning is mentally competent to stand trial. Manning is currently being confined at the brig at the Marine Corps Base in Quantico, Virginia. His supporters have argued he is kept under stressful conditions, allowed no contact with other prisoners. Defense officials say Manning is being treated like any other maximum-security detainee -- he just happens to be the only such detainee at the facility, and if there were others, he would be allowed to have contact with them.